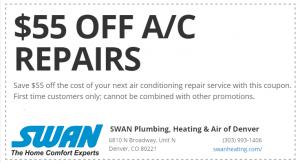 When Denver homeowners need prompt, reliable, professional AC repair or service, they turn to Swan. Our team of licensed and certified HVAC technicians is standing by to serve you 24/7. From routine maintenance to emergency repairs or new installations, Swan is available for all of your home comfort needs. Our commitment to exceptional customer service has made us one of the leading HVAC service companies in Denver and the surrounding area. Call us today to find out more about our AC repair and installation services. You can also submit your question using our convenient online contact form, and one of our knowledgeable technicians will get in touch with you within 24 hours. We pride ourselves on having some of the best technicians in the business. All Swan technicians are required to meet rigorous on-going training and industry certification standards. No AC repair job is too big or too small for Swan. Call today to schedule a repair or to find out more about our home comfort services. When your AC is malfunctioning, the last thing that you want to do is to spend hours online trying to find a service company. Our HVAC technicians have the training and experience to handle repairs on any make or model of air conditioner. 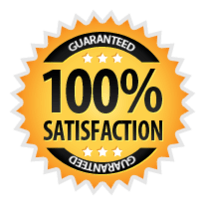 You can also rest assured that we will show up as promised and that we won’t take advantage of your situation by adding outrageous fees and surcharges to your bill. The next time you need AC repair, give us a call at 303-993-1406. The filters or other components are visibly dirty, damaged, or clogged. Your AC is running, but the air is warmer than normal. You notice a blackish-brown liquid leaking from the unit. Your air conditioner is making grinding, thumping, ticking, or clicking noises. Our technicians are experts at diagnosing AC compressor problems and are just a phone call away. We aren't the only ones who believe our air conditioning repair service is among the best in Denver; look at what our latest satisfied homeowners have to say about their Denver air conditioning repair experience! I am so pleased with my experience with Swan. My AC stopped working and I was worried what that might mean. Tyler diagnosed and resolved the issue quickly and without making more of it than was needed. He also inspected all aspects of my system to make sure there wasn't more than one problem. He is knowledgeable, efficient, personable, and went above and beyond to explain everything--the issue, the solution, how to keep it from happening in the future. I can't say enough good things. Tyler, our service person, showed up on time and serviced both our AC unit and furnace. He was knowledgeable, and explained what he was doing. He did not try to up sell me in any way. I would recommend Swan & Tyler for service work. Zane was knowledgeable professional and had my AC diagnosed and back up an running in short order. Great to work with, I have Swan's coming back for a furnace tuneup. A relatively minor AC problem will only get worse if not corrected right away. You can save hundreds in repair costs if you call Swan as soon as you notice anything unusual with your air conditioner. Don’t delay; call Swan Plumbing, Heating & Air Conditioning today.